Used car stocks are sitting at a very high level due to the rising demand in new car sales leading to owners trading cars in, an industry expert has said. Derren Martin, the senior editor of Black Book, said that some motor traders are having to resort to storing vehicles in separate compounds to deal with the rising capacity. Essentially, he said, as motorists are buying more new cars, there is a rise in the number of second-hand vehicles being traded in. For any used car dealership witnessing a substantial rise in the amount of vehicles under its ownership, it is important to consider the effects this might have on its motor trade insurance policy. Firstly, a combined traders policy will outline a maximum value of the vehicles kept on the business premises that is covered – should this be exceeded because more cars are being kept on site, then the firm ought to contact the insurer and have the policy amended. If, as Mr Martin suggests, a motor trader is resorting to storing used vehicles in alternative locations while trying to find a seller, then they could need additional cover. Each premises will need to be assessed and have its own insurance policy so that the vehicles and equipment stored on that particular site are covered against theft and damage. In March 2014, new registrations surged 18 per cent to 464,824 units, the best March since the twice-yearly plate change was introduced 10 years ago. 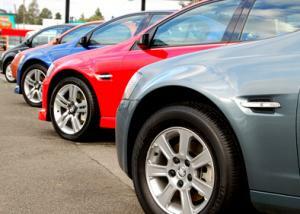 For the latest figures, in the year to May, new car sales are up 11.6 per cent to 1.06 million. Mr Martin commented: “Stock levels are high. We are aware of certain auction centres having to store vehicles off-site.